TL;DR - Web development is not just about slick and swanky builds, it is about building from the user upwards, with good SEO in mind. From pre-themed websites to custom and bespoke website builds, we have the skills and capabilities to design and build impressive WordPress, Magento and Shopify websites. Our expert web designers here at KW Digital can ensure that your business website not only performs to its absolute best, but also looks stunning. As a well-established web design company, we have the experience and expertise to ensure your website visitors enjoy the best possible user experience. That means beautiful graphic design, intuitive navigation, clever coding and results-driven Search Engine Optimisation (SEO). We follow a meticulous process for all web design and development projects. Our agile and streamlined process has been improved and innovated over the years to ensure we are always pushing the boundaries. From state-of-the art project planning software to tried and tested auditing methods and launch checklists, we will make sure your website project is delivered to time, to budget and without glitches. How do we ensure a smooth transition? We test, test, test! Only after several rounds of iteration and snagging is your shiny new website handed over. Our ultimate goal is to build our clients a website that delivers results- we want to exceed your current conversion rates, improve your users’ interactions and make your website more visible. First, we listen to you, then we dig deeper to understand your business. Using our experience and proven techniques, we then develop a complete strategy to actualise your business goals and objectives. Whether you’re looking to grow your online presence, convert your existing traffic better or increase your business’ online revenue streams, our team of digital strategists will ensure your project gets off on the right foot. Not only do we ground everything in a solid strategy, we also set KPIs at this stage to ensure the impact of your new website can be measured in tangible ways. If you are looking to increase online conversion rate, how much revenue does a 40% increase result in? If you are looking to increase online market share, how much traffic does a 60% increase in search visibility equate to? We think about what kinds of integrations with current software that you might need. This might include configuring and integrating software such as CRM, 3PL, ERP, POS, Fulfilment, and other software systems for a seamless business solution. We often need to integrate e-commerce sites with SAGE or other accounting platforms, or we may integrate the website with other marketplaces such as Amazon, Ebay and Etsy. Our overall objective is to streamline the operations for our customer, so they can carry out all reporting tasks and manage all marketplaces, platforms and shipping methods from one easy-to-use and intuitive dashboard. We’ll come up with a look, feel and tone of voice that matches your brand and objectives, before designing compositions for each page. We design the site architecture, the navigation, call to action blocks and custom page templates. We develop bespoke functionality to set you apart from competitors, and it will be the ultimate makeover. We’re talking hair curlers, false eyelashes, the lot. We always build our website for mobiles first, ensuring the usability and user journeys on mobile devices are seamless. We push the boundaries, utilising the latest technologies and techniques to ensure that our customers are delivered scalable and versatile solutions – whether that is an easy to use CRM system or bespoke reporting templates. Only until after meticulous testing, QA and client approval do we launch your brand-new website. We test across all browsers, devices and from different user perspectives. We crawl the site for technical SEO issues and we cross-check against a benchmark report that we did at the start of the project. No digital stone is left unturned. We ensure all Google products, such as Analytics, Search Console and Adwords are set-up and configured properly with appropriate goal-tracking. We make sure there is no disruption whatsoever to your ability to monitor and report on your website’s performance. We pride ourselves on our design and development expertise, and will work to make your website a roaring success that oozes confidence. 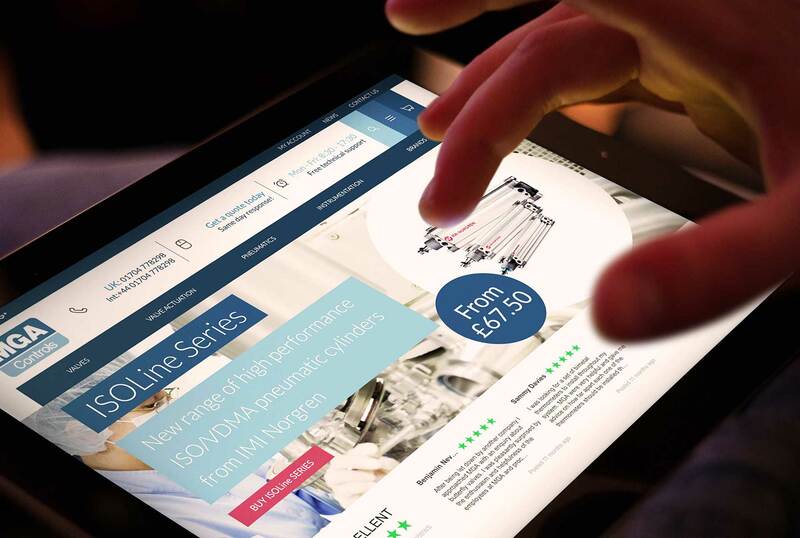 KW Digital were able to interpret our requirements and develop a turnkey website solution that would enable us to channel customers to Monomer. This has freed up time for us to concentrate on the bespoke aspects of our sister company, Martin’s Rubber.